For some inexplicable reason, Uwe Boll's Dungeon Siege sequel will see the light of day. It's been a while since we heard anything about Uwe Boll. In fact, the last time he got any attention on The Escapist, it was when an explosion on the set of In The Name Of The King 2 hospitalized six crew members (which was doubly-depressing because it failed to stop the film's production). Unfortunately, it looks like Boll was able to finish the movie and is now planning to release it on DVD. 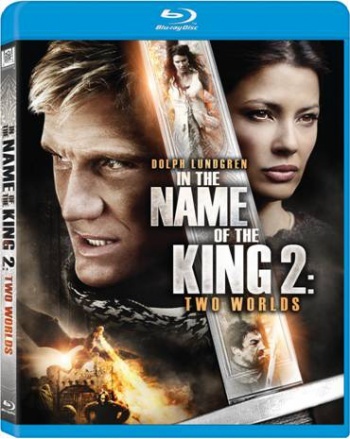 The movie's full name is In the Name of the King 2: Two Worlds (no word yet on whether or not TopWare Interactive is aware of this title) and will star 1980s action dude Dolph Lundgren. It's not actually apparent whether or not the movie will still be associated with the Dungeon Siege franchise, since the "A Dungeon Siege movie" doesn't seem to be mentioned anywhere near this project. Dolph Lundgren (The Expendables, Masters of the Universe) stars as Granger, a lethal, ex-Special Forces soldier who finds himself transported back to a mystical age of sorcery, dragons and savage hand-to-hand combat. This modern-day warrior has been summoned to defeat the forces of darkness and fulfill an ancient prophecy. But as he fights his way to the truth, Granger learns no one can be trusted -- and one wrong move could cost him not only his life, but the future of his world. There are just so many things in that synopsis to take issue with, not the least of which is how Dolph Lundgren is credited. The Expendables and Masters of the Universe? Really? Not Universal Soldier and/or Rocky IV? Oh, well, I suppose we should just be glad that the hero of this movie isn't named "Farmer." In The Name Of The King 2 is due out on December 27th, just in time to be a belated stocking stuffer (or, you know, the media equivalent of a piece of coal - it all depends how you look at it). On a side note: IMDB doesn't list Boll directing any future projects. It's probably too much to expect, but we can always hope that the man won't return to the director's chair after this.